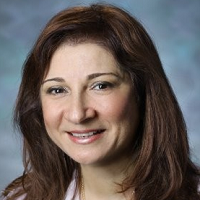 Dr. Marie N. Hanna is an associate professor of anesthesiology and critical care medicine at the Johns Hopkins University School of Medicine. Dr. Hanna specializes in obstetric anesthesia, as well as regional and acute pain management. She serves as the director of the Acute Pain Service and the chief of the Division of Regional Anesthesia and Acute Pain Management. Dr. Hanna has been instrumental in developing regional anesthesia and pain management educational programs for residents, fellows and faculty in the U.S. and abroad. She recently worked with United Arab Emirates physicians to establish a pain-management education research project there. Her many educational roles at Johns Hopkins include serving as the associate director of the Anesthesiology and Critical Care Medicine Residency Program, as well as the director of Pain Management and Regional Anesthesia Education.